A county road in DeWitt County shows the shredded pavement and deep potholes created from repeated trips by big rigs and gravel trucks often weighing more than 80,000 pounds. 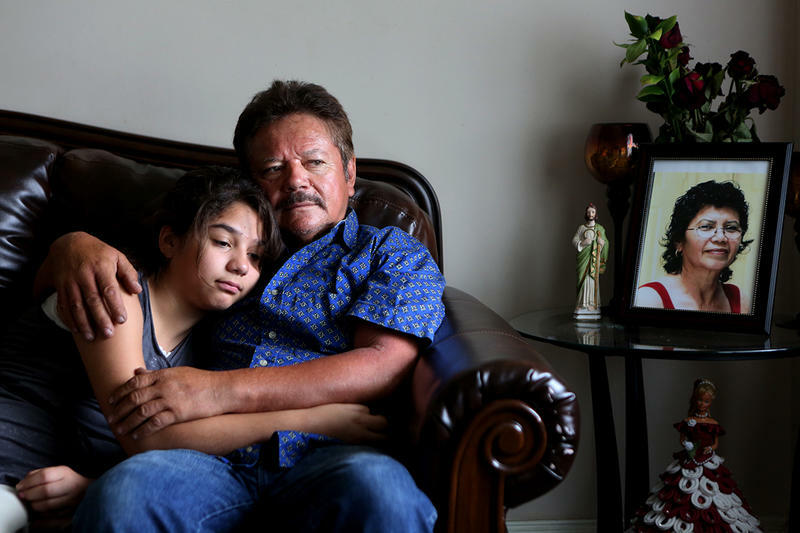 Energy production in the Eagle Ford Shale has produced a windfall for the Texas economy -- but left behind hazards for residents, school bus drivers, emergency responders, and others who must use the roads. Local officials say they need the legislature’s help to keep up with repairs. We traveled to one of the most active fracking counties to see what Texans there face when they get behind the wheel. We found dozens of roads with cracked and broken asphalt, some of them with a two-to-three-foot width of pavement missing along the edges of the roads - stripped away by the heavy truck traffic. Commissioner Curtis Afflerbach drove a DeWitt County pickup truck down one road after another, pointing out the problems. “You can see where they break off. The roads are so narrow. Of course, they were originally just gravel roads, built for just passenger cars,” he said. Just a few years ago, the heaviest vehicle these roads had to support was a one-ton pickup, hauling a trailer full of cattle. Then, fracking in the Eagle Ford Shale intensified. Tanker trucks line up at the end of the day to leave an oilfield on their way to refineries and barges along the coast. 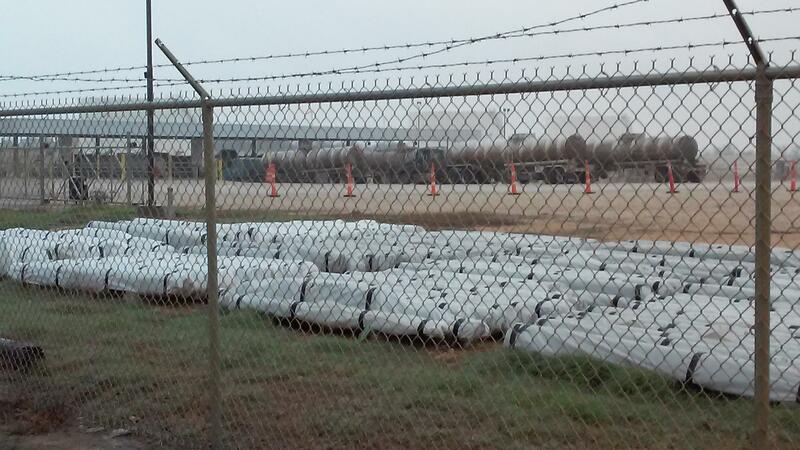 DeWitt County Commissioner Curtis Afflerbach said this scene repeats itself daily at oilfields across the region. 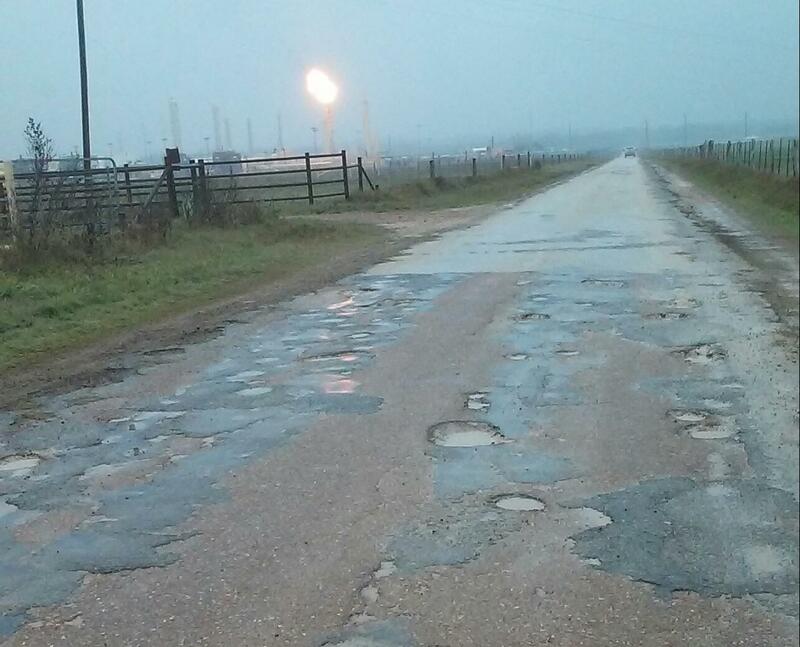 While Eagle Ford production has been great for the economy, it’s been devastating on the roads. Big rigs fly down narrow, two-lane county roads, chunks of asphalt crumbling off in their wake, leaving an obstacle course of deep, hazardous craters. The edges of many roads are so shredded, all that remains is sharp-edged pavement that can unexpectedly drop off half a foot. The state estimates the annual cost for maintenance of roads in oil and gas fracking counties at $2 billion a year. And that’s each year for the next 20 years. There’s little doubt that the condition of these roads are a concern and a safety hazard. According to LaSalle County Judge Joel Rodriguez, 60 percent of fatalities in 2013 on farm-to-market roads in all of the state’s 254 counties came out of the seven most active fracking counties. Harlan Fuchs is the assistant fire chief of the Westhoff Volunteer Fire Department in DeWitt County. “Especially out here on Cheapside Road, it’s murder. You’re taking your life into your own hands,” he said. When Fuchs responds to fires and other emergencies, he either drives down the center of the road — or if there’s enough right-of-way, he goes off road where he feels safer. 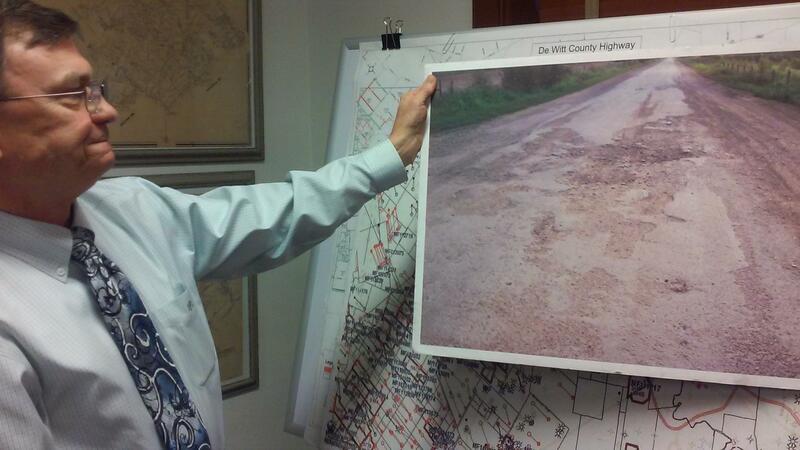 DeWitt County Judge Daryl Fowler shows his photo of Cheapside Road. He uses the photo in presentations to demonstrate the need for more funding to repair dangerous county roads damaged by heavy trucks that travel the back roads of the county. “You just bounce all over the road, like I said, you try to go down the bar ditch. Hopefully it’s a whole lot smoother down the middle of the bar ditch than it is on some of these roads,” said Fuchs. In the last legislative session, Carlos Uresti, the Democratic state senator for many of the fracking counties, carried a bill that provided $225 million to counties for road repair. “For the first time that anyone can remember in decades, the state funded the county roads. That’s always been a county function: counties, you’re on your own. But again, given all the activity, I was able to get my colleagues to pass this bill,” Uresti said, adding that more was needed. “It was a great first step because first, it had never been done, and second, the counties just gobbled it up. But it was just a drop in the bucket,” he said. DeWitt County Judge Daryl Fowler agreed. “There are a lot of people trying to solve this problem. Some oil and gas companies have helped pay for the roads,” he said. Fowler has collaborated with some of the counties to hire a lobbyist and press for more money. And he has another strategy — he’s working on getting mineral rights under county roads returned to the counties. 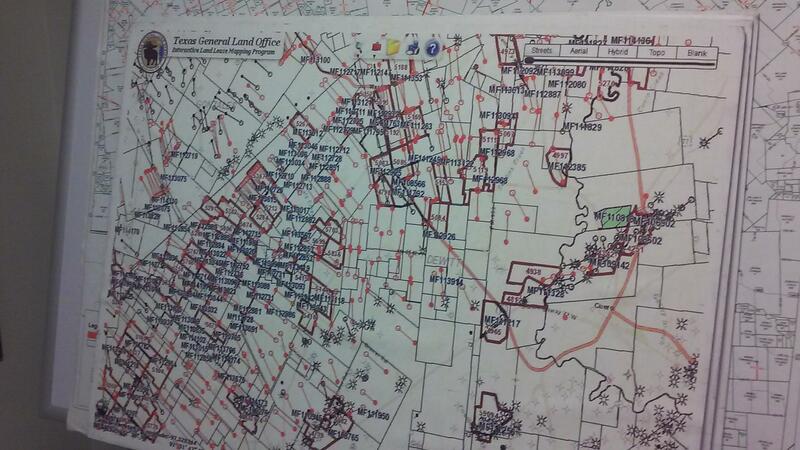 Map of DeWitt County's wells that produce oil from under county-owned roads. County Judge Daryl Fowler says oil income from under county roads is taken by the state. He is working to get mineral rights under those roads returned to the county. Fowler is working with Houston Representative Garnet Coleman, whose urban colleagues represent 80 percent of the vote in the Texas House. He also has the support of Senator Uresti, who will try to convince fellow lawmakers that do not represent Eagle Ford counties, that fixing their roads helps the lucrative oil and gas industry – and helps the people who live there. Hydraulic fracturing, or fracking, has unlocked huge reserves of oil and gas in shale formations in many states. The biggest winner, in terms of new jobs, has been Texas. But an investigation by Houston Public Media and the Houston Chronicle shows Texas highways have become the nation's deadliest amid a fracking boom.